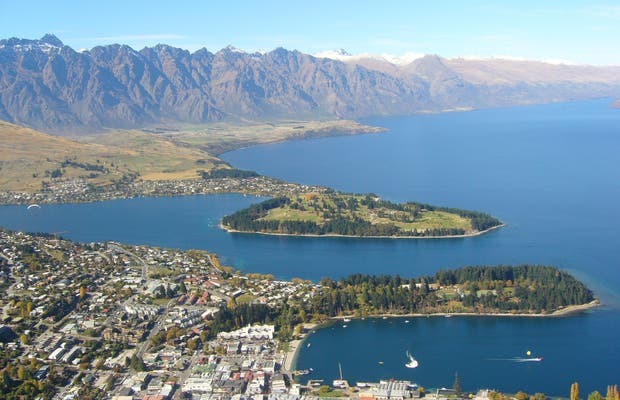 This is the Adventure Capital of New Zealand, as it offers famous outdoor aerial activities like bungee jumping you get to by cable car, tandem free fall, hang gliding or gondola "Skyline" with great views of the bay and a good area to relax from the city of Queentown. This small town was formed during the gold rush in 1860, by Lake Wakatipu glacial in it's old Morrea today are conifer gardens and peonies and rhododendrons, offering a haven of pleasure from the recreational activities. Another option is a walk around the lake in the steamboat "TSS Earnslaw" replica of the mining era which still retains the original steam, with its wood interior and copper DecorAcción "twin engines".